March Madness Tournament Betting: Where Can I Place a Bet? The annual NCAA Men’s Basketball Tournament typically garners more interest than nearly any other American sporting event. It also draws the most bets. An estimated 47 million Americans will place some kind of wager on this year’s tournament, according to the American Gaming Association. That will account for nearly $8.5 billion in total bets – the most of any sporting event in the country. 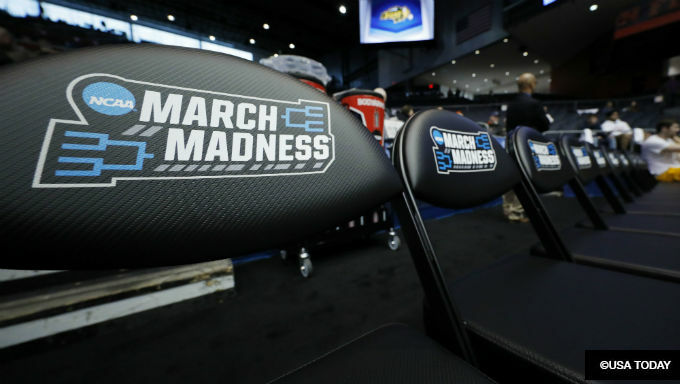 Though most of that will be through illegal offshore betting sites or via office bracket pools, there is a growing number of legal avenues for March Madness bettors. For the first time ever, eight different states will take legal wagers – and several more will do so by next year’s tournament. For the 2019 edition of March Madness, here are the locations to test your mettle in the annual event that captivates Americans’ attention unlike anything else. Though eight states will take bets for this year’s tournament, most of them still don’t have legal avenues to do so through the internet. This is set to change as soon as next year, but for now, there’s only two jurisdictions to bet using a mobile device. The epicenter of NCAA Tournament betting action, Nevada has dozens of online offerings to go along with more than 100 different sportsbooks. Though other states are now taking bets of their own, the Silver State is still the top gaming destination in the nation. Any resident or guest within state lines can place a legal bet through a myriad of safe, regulated sites, though would-be online bettors are required to first register in-person at a legal casino or gaming facility. Fortunately for bettors Nevada has far and away the most casinos per capita, so finding a registration location is not a daunting challenge. Though it is entering its first March Madness with legal betting, New Jersey is already chasing Nevada for the top gaming market. Unlike Nevada, residents and visitors to the Garden State don’t need to sign up at a gaming facility to place an online bet. Eligible players simply need to be 21 and within state lines, then register with one of a growing list of legal sites. Though it doesn’t have the sheer scope or reputation as Nevada, New Jersey presents plenty of excellent gaming options for March Madness bettors. With some of the nation’s largest population centers nearby, New Jersey is a growing gaming destination on the east coast and this year’s tournament should only cement its status. Along with Nevada and New Jersey, six other states now take bets at regulated gaming facilities. Though smaller in scale and with fewer options than these larger gaming markets, this grouping nevertheless presents an exciting new opportunity for tournament bettors looking to join the action. The nation’s third-largest gaming market per capita, Mississippi was one of the first states to embrace legal sports betting once the Supreme Court struck down the federal ban in May of last year. It’s also currently the only southern state to take legal bets – and one of the more robust markets overall. It features a host of casinos along its gulf coast region, as well as additional options along the Mississippi River. Tunica, in the northeastern portion of the state, is also one of the bigger gaming markets in the country. Though online betting is not in the cards currently, the resort-centric gaming destinations throughout the Magnolia State present ample opportunities to place a March Madness bet. Though its online offerings won’t be launched in time for this year’s Big Dance, Pennsylvania still has legal betting locals in two of the nation’s largest population centers. Casinos in the western half of the state near Pittsburgh as well as the eastern border in and around Philadelphia give sports fans multiple choices to bet near the commonwealth’s two largest cities. Along with Hollywood Casino at Penn National in the Keystone State’s central region, Pennsylvania is a new, and exciting, betting destination. Area teams competing in this year’s tournament including Temple as well as defending-champion Villanova should only add to the excitement in what is so far the most populated state to offer legal betting. Since legalizing casino-style games earlier this decade, West Virginia has remained one of the more progressive gaming destinations in the nation. Though a self-described “interruption in service” has temporarily sidelined the state’s lone online sportsbook, there are still multiple options to place an in-person bet West Virginia. There are five legal casinos in the Mountain State, including two in the northern panhandle between Ohio and Pennsylvania as well as another facility in the western panhandle, a convenient drive for bettors in Virginia, Maryland and Washington D.C. While would-be bettors are undoubtedly upset about the current online betting restrictions, there are still several excellent options for this year’s tournament. Rhode Island lawmakers approved online betting earlier this year, but it is still several months from launch. That doesn’t mean Ocean State bettors are shut out of options. The state’s two gaming facilities, Twin Rivers casinos in Tiverton and Lincoln, are gearing up for March Madness. They are the first two New England facilities to take legal March Madness bets. With regional neighbors preparing plans to take bets as early as next spring, it's likely this is the first, and last, March with only in-person betting options in Rhode Island. The second state to take legal bets after only Nevada, Delaware has three gaming facilities to take sports bets. Delaware Park Racetrack & Slots in Wilmington, Harrington Raceway and Casino as well as Dover Downs are all accepting wagers ahead of the tournament and should feature lively crowds through the next three weekends of the “madness”. Though First State officials have been less open to online options, there are still several strong options for in-person gaming. The only state to take legal sports bets without an act by its legislature, New Mexico has also joined the ranks of jurisdictions taking bets. Led by the Santa Ana Star Casino near Albuquerque, which argued its compact with the state government permitted it to take bets, the Land of Enchantment was one of the earliest locals for American sports betting. With the Buffalo Thunder sportsbook near Santa Fe now open, New Mexico has two betting locations for this year’s tournament and more likely to follow in time for next year’s.